Melbourne Storm has engaged APR.Intern to undertake a research project to better understand the key factors around membership and game day attendance, on the back of their record breaking 15,000 memberships for 2013. Melbourne Storm has received high-end statistical analysis from PhD student Daniel McInnes, Monash University, with the additional support and specialist knowledge from his academic supervisor Kate Smith-Miles. The project involved building statistical models to help the club forecast match day ticket sales using a data driven approach involving some applied statistical analysis of the club’s match attendance data. This will help Melbourne Storm understand factors that influence crowd attendance at matches such as weather, scheduling, advertising, opponent and other key influencers. With a view of increasing membership loyalty, the Intern will also provide detailed analysis of Melbourne Storm’s membership database and market research data to predict motivations behind membership cancellations, assisting the club with membership retention. APR.Intern is an innovative national program working across all industries, building links between universities and organisations. The program provides organisations, like Melbourne Storm, with high-end analytical expertise and is an alternative, cost effective solution for a research challenge or problem facing an organisation. Postgraduate students, along with their university supervisors, come from all disciplines to partner with industry through short-term (4–5 month) tightly focused research internships. 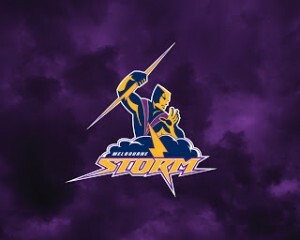 Most importantly, the program was designed to ensure all intellectual property remained with Melbourne Storm.